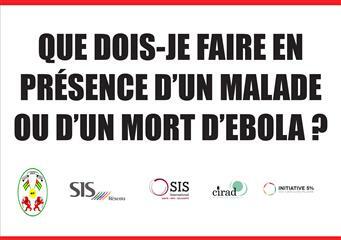 This kit was produced for the Togolese government's Ministry of Health in 2015, when an Ebola epidemic ravaged Sierra Leone, Liberia and Guinea and its spread was feared throughout the region. 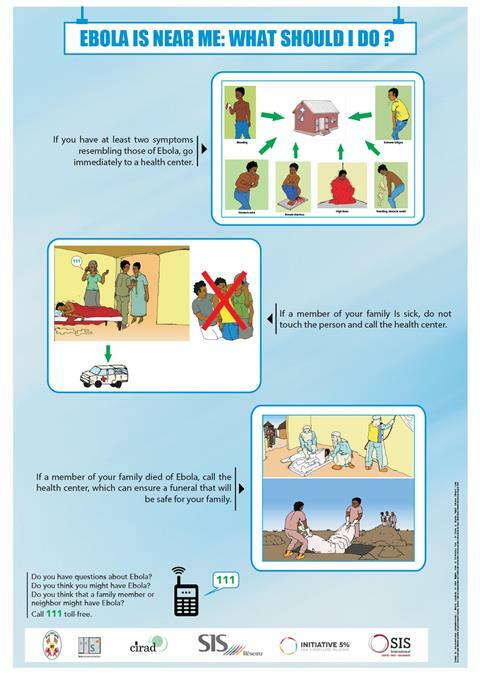 It proposes a communication strategy in a country that is not been affected by the disease and a set of written materials and informative videos to be used before and during an epidemic. 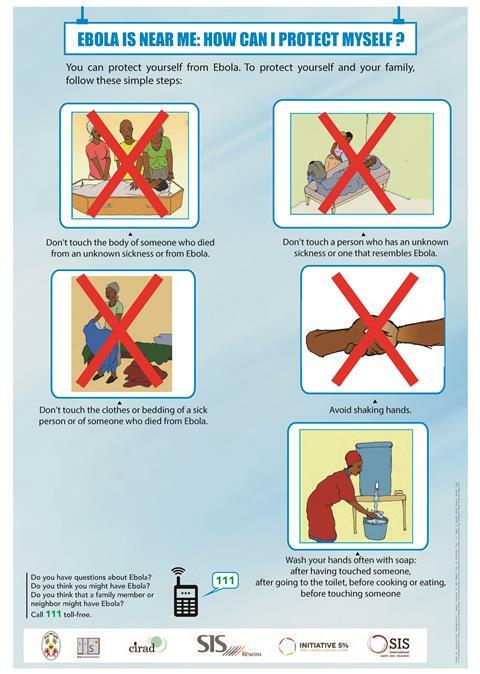 The objective is to gain the confidence of the population with simple, scientifically based explanations so that the prevention measures would be applied. 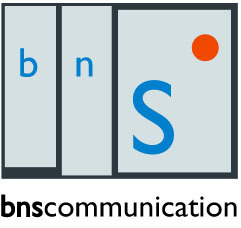 We also want to fight unfounded yet widespread anxiety, which is a source of irrational behavior. 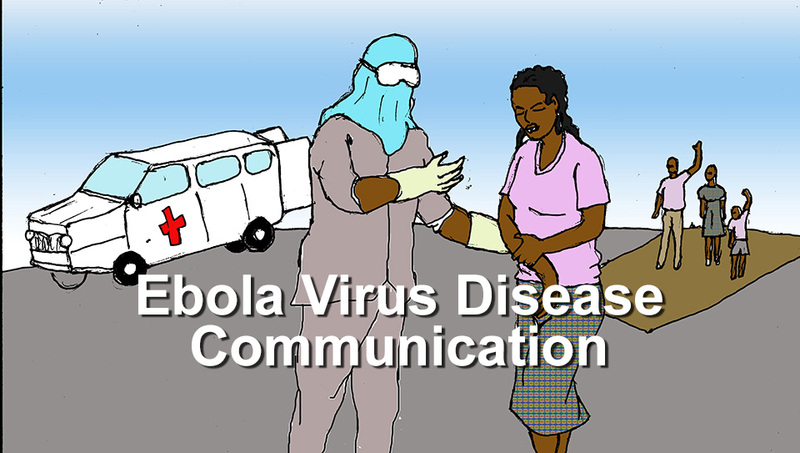 For an analysis of Ebola communication during the West Africa epidemic, see Revisiting Ebola Communication. 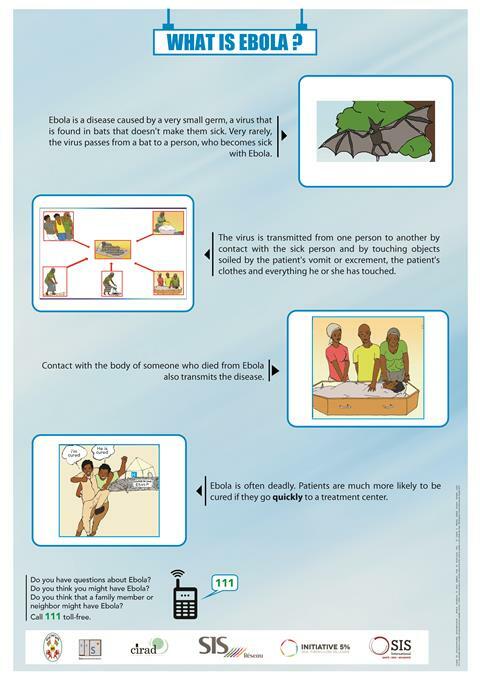 This booklet situates Ebola among all infectious diseases and explains the concept of a microorganism. 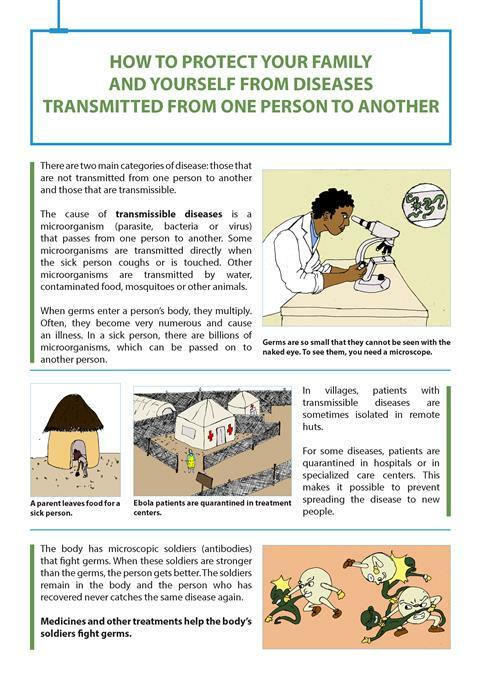 A microorganism is transmitted from person to person (HIV, malaria parasite, hepatitis B virus, bacteria responsible for diarrhea, etc.) 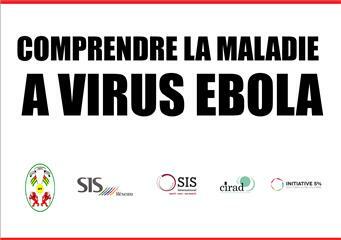 and transmits diseases. 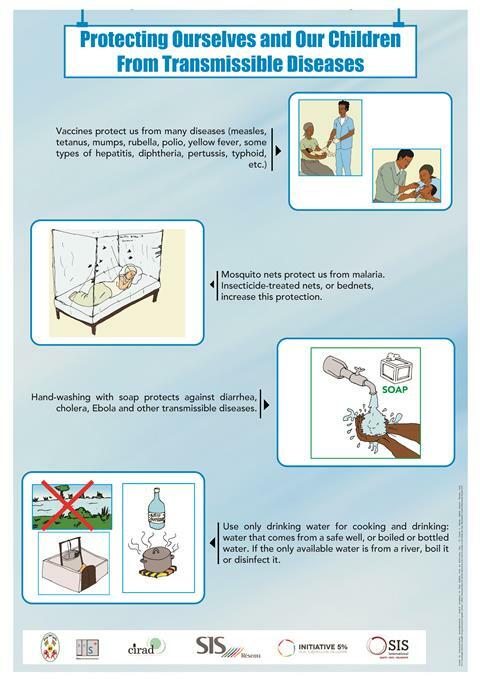 There are specific prevention measures for each microorganism (mosquito net, vaccine, avoid contact, etc.). 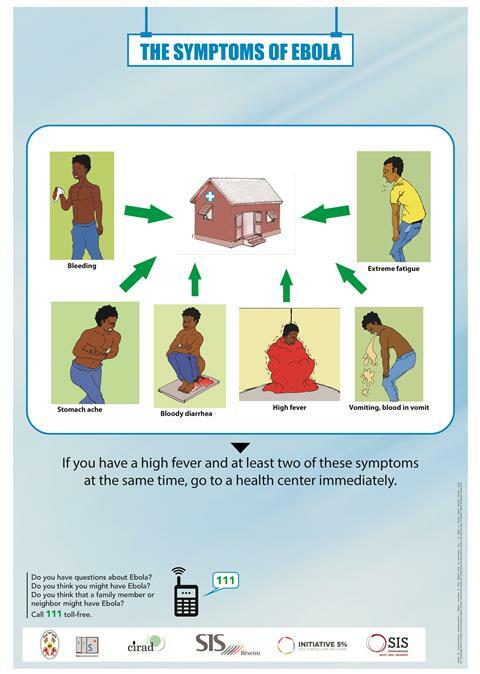 The brochure may be distributed to communities, used by healthcare workers and NGOs, or as a basis for a primary school, college or high school course and be brought home by the students. 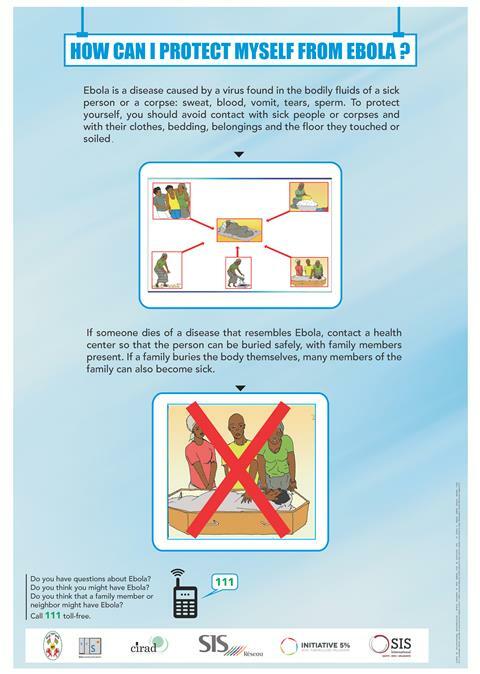 Many first-level caregivers have been victims of Ebola. 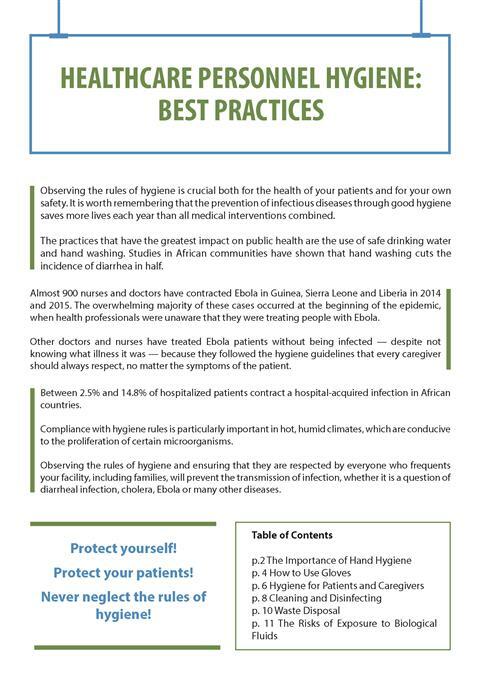 This guide outlines the hygiene guidelines that must be followed in all health centers, in order to reduce the risk of transmitting infectious diseases to staff and patients.